On the plus side, the electronic turbo actuator is the most accurate way to control the boost output of the turbocharger because the actuator is being controlled by the engine ECU. By tuning the ECU, adjustments can be made to improve the turbo spool up times as well as increasing the efficiency of the turbo / engine which in turn will increase the power and economy of the vehicle. The downside is that the turbo actuator is also a very common failing part and we’re seeing these daily from all sorts of vehicles being sent in for testing and repair. Below we have compiled a short list of part numbers for turbo actuators we’ve found fitted to the BMW 3 series. The turbo actuator is not a part that can be purchased separately from the dealers so when it does fail, you will be quoted for a complete replacement turbocharger and actuator together and even then you only get a 12 month warranty. Used parts are available but will require coding and only come with a limited 30-90 day warranty. The electronic actuator is such a common failing part, you can never be sure how long a used one will last. We have the facilities to fully strip down, bench test and rebuild almost all types of electronic turbo actuators. We use new genuine OEM components when repairing a turbo actuator and where possible we always up rate parts that are known weaknesses to ensure each and every repaired actuator meets & exceeds OE specifications. All remanufactured actuators are returned with a Lifetime warranty and do not require any coding when refitting to the vehicle – making them completely plug & play! Professional diagnosis & fitting services available. 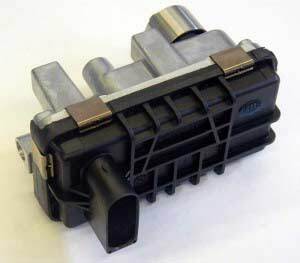 Below we have put together a list of vehicles affected by this type of faulty turbo actuator. If you have a faulty turbo actuator and need it tested or repaired, contact us for an instant quote. Tags : 135-19492, 135-19495, 135-19613, 49335-19400, 6NW010009-02, BMW Turbo Actuator Repair, BMW Turbo Actuators, G-222. I have sent you an email with full information and pricing for both our repair and replacement services. 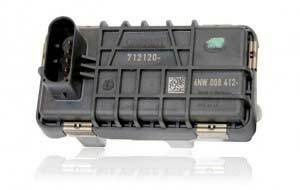 hi, im looking for a price on either a repair or replacment turbo actuator unit for a 2008 bmw 320d se. diagnostic coming back with fault code 44cc charge – air pressure actuator. ( clicking back and forth when insert key in ignition ). Hi, im looking for either a replacement actuator or actuator repair for my bmw e46 320d. Can you please send me a price for an acuator for a 2012 E93 BMW 320d ?